With over 70 years combined designer experience in designing kitchens, Kitchen Shack supply superior quality hinge systems, drawer runners, doors and a range of slide out kitchens accessories. 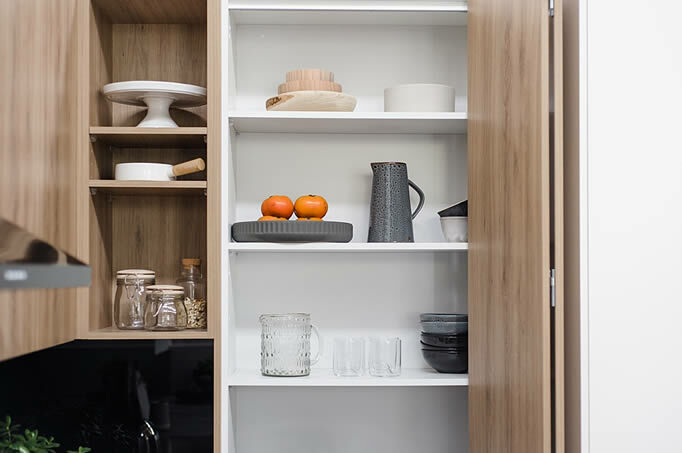 Products selected at Kitchen Shack are designed to work, but ultimately enhance the performance and usability of your new modern Kitchen Shack Kitchen experience. The Kitchen Shack range of accessories incorporate a selection of popular kitchen storage mechanisms and proven quality that will stand the test of time. 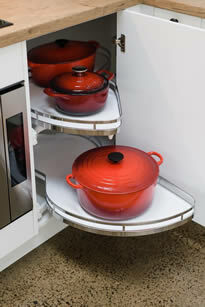 Visit us at a Kitchen Shack showroom to see the full range on display. 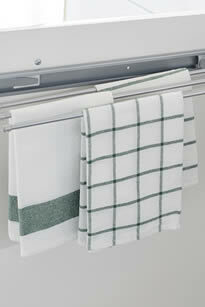 Available in variety of colours and cabinet width of 450mm wide. 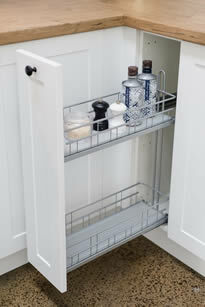 Easy pull out with 5 adjustable shelves. 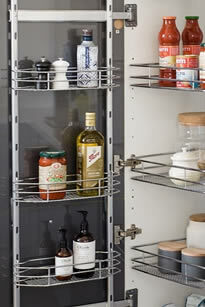 Pull out spice rack with loading capacity 20kg. 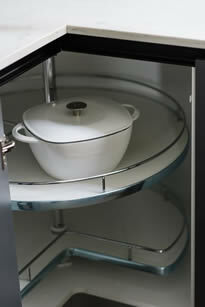 Available 200mm cabinet size. LeMans Corner unit complete unrestricted access, suitable for 900 and 1000mm wide corner with 450mm door opening. 20kg shelf hold. 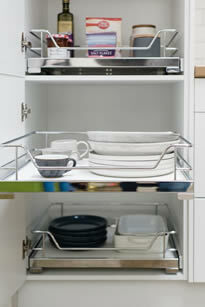 Internal pull out shelves with chrome plated steel sides – capacity 20kg. 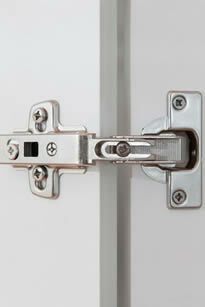 Available in cabinet widths of 400mm, 450mm, 500mm, 600mm. 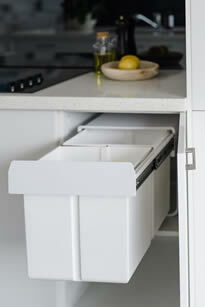 Single and double bins with removable inside can be fitted to openings. 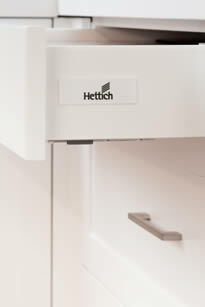 Internal drawer with Hettich soft close. Load capacity 30kg in cabinet widths 800mm and 900mm. Slide out 3 rack to be side mounted. Dimensions: 125mm (w), 450mm (l), 35mm (h). 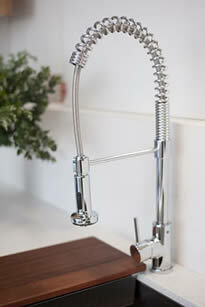 A variety of sinks and taps available.